Home PowerShell SharePoint SharePoint 2007 SharePoint 2010 SharePoint 2013 SharePoint 2016 Web Application How to Rename SharePoint Web Application Name and URL? We may want to change a web application name to make a consistency in naming conventions or in some other scenarios. But I don't find any SharePoint Central Administration options to rename a web application! So how to rename SharePoint 2013 web application Name? well, PowerShell can help! Write-Host "Web Application Name Changed from: $($OldName) to $($NewName)"
However, this PowerShell script just renames the web application name but not the URL! I don't find a way in SharePoint 2013 to rename web application with PowerShell. To rename a web application URL in SharePoint, We've to update the DNS entries, Alternate access mapping (AAM) in Central Administration and update the Host header bindings in IIS. To Rename SharePoint 2013 web application URL, lets update the AAM entries first. Go to: Central Administration >> System Settings >> Configure alternate access mappings under Farm Management. Pick your web application and give a new URL to it. Next step is to update IIS bindings. 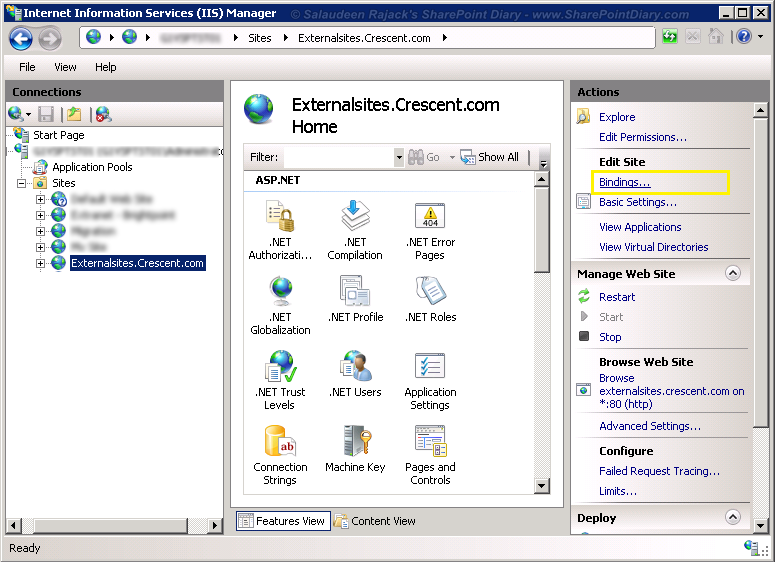 Go to IIS (Start > Run > InetMgr), Select your target web application, Click on "Bindings" on right pane. Click on "Edit" and then update the "Host Name" with new URL for the web application. That's all! we are done. 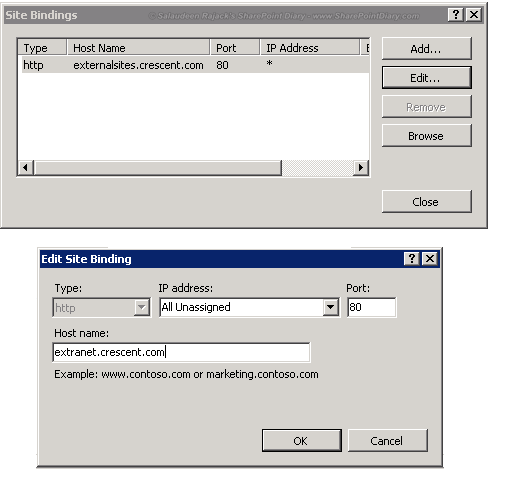 The above steps applicable to SharePoint 2007 also to change web app URL. 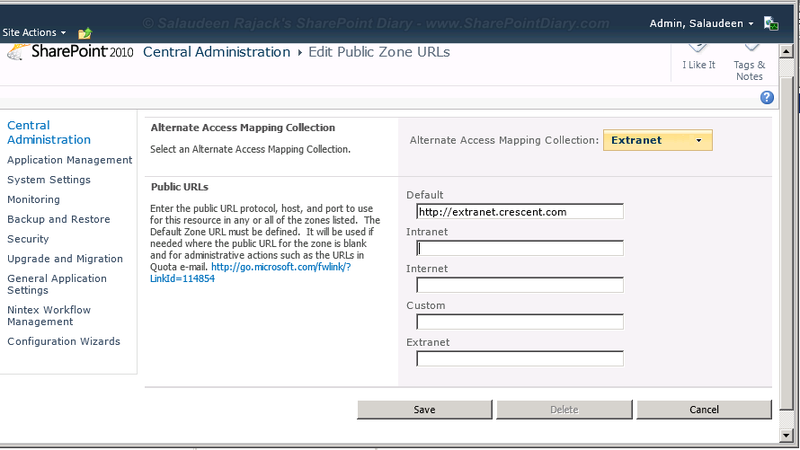 You can extend an existing SharePoint web application to give a new Name and URL for it! The portion after renaming the Web App helped alot! Thanks tons!! The proper way would be to delete the webapplication and recreate it with the new URL because there are still references to the old URL in the ConfigDB that will give you issues later. Just keep your DBs and reattach them after the fact.